Product prices and availability are accurate as of 2019-04-21 16:13:45 UTC and are subject to change. Any price and availability information displayed on http://www.amazon.com/ at the time of purchase will apply to the purchase of this product. Montana is the crown jewel of the American West. 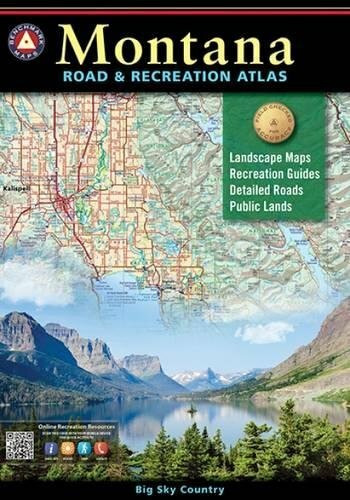 Experience Big Sky Country with our completely new 3rd edition Montana Road & Recreation Atlas. 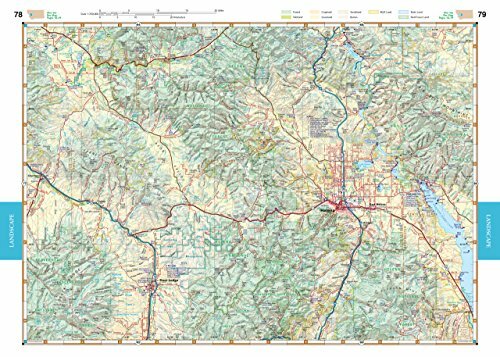 No other map product can better portray Montana's rugged peaks, majestic rivers, and expansive plains. Large-scale Landscape MapsTM reveal landforms with amazing realism and detail, clearly showing the state s vast network of roads, waterways, and recreation landmarks. A 15-page Recreation Guide provides regional maps with public land detail and lists a wide range of outdoor activities. Arranged by category and boasting unequalled insight and detail, it is the ideal tool for planning and executing Montana exploration. Benchmark field-checkers drove thousands of miles to make sure the Montana Road & Recreation Atlas is the most accurate, comprehensive, and reliable map product ever published for Big Sky Country. Atlases: Every Benchmark atlas is specially designed for enthusiasts of hunting, fishing, camping, boating, hiking, and other outdoor activities. 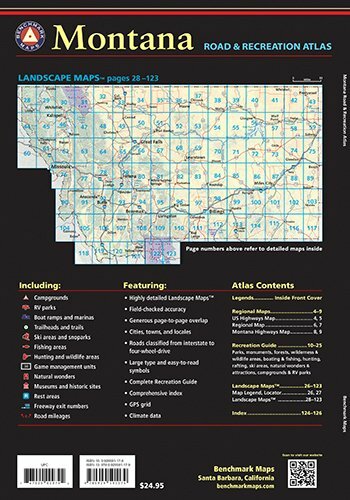 All atlases have Benchmarks exclusive Landscape Maps with large easy-to-read and page overlap, and a useful GPS grid. The categorized Recreation Guide makes planning your next adventure a breeze. The Recreation Maps have public land ownership shown as color tints, and most titles have hunting unit names and boundaries Recreational Maps: Benchmarks Recreation Maps were created for outdoor lovers who want the high quality recreation information in our atlases but with the convenience of a traditional folding map. Complete public lands detail and hunting unit boundaries are shown as well as categorized recreation listings.